You may be confused about the Atkins Diet, so I’ve put together this Atkins Diet Sheet to make it easier for you to understand the key elements of the program. I’ve had a lot of people ask me whether it’s a good diet or not and if it will work for them. To make it easier for you to decide, just review the basics I’ve outlined on this Atkins Diet Sheet to understand it better. It is based on a low carb diet, not counting calories. You can eat lots of meat and protein on this diet. Starches and sugary foods are severely restricted. The program is meant to be used in a modified form as an ongoing “eating lifestyle” to maintain weight loss after reaching the desired goal. Ketosis is the key to weight loss with Atkins. Ketosis is when the body converts fats into glucose for fuel while suppressing the appetite. 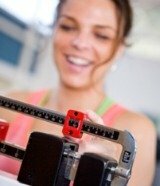 There are three distinct phases: Induction, weight loss and maintenance. The Atkins Diet can help some people overcome cravings for sugary foods and carbohydrates over time, but this may or may not be the case for you. It depends on how severe your cravings are and how much insulin your body produces. Staying on the diet does help reduce triglyceride levels in the blood, but the jury is still out on whether this is due to the weight loss itself or the Atkins Diet in particular. If you love meats, cheeses and other foods and aren’t a great starchy foods lover, this diet can be great. If you love chips, bread and pastas though, you may find it difficult to stay with. There are some possible side effects following the Atkins Diet sheet guidelines that you should be aware of (just like with any diet). Nutritional deficiencies can be a problem, especially folic acid, calcium and certain vitamins. To avoid this, I take supplements such as a multi-vitamin for women every day. Lowering carbohydrates can also make you constipated or lethargic – this is simple to get around by making sure you drink plenty of fluids. Water is especially important. I try to drink eight glasses of water every day, which also increases my weight loss by keeping me hydrated. In general, the Atkins Diet starts quickly then slows as you move from Phase to Phase. If you are able to discipline yourself for long periods and can be satisfied despite certain restrictions (low carb intake is a must), you can stay on the Atkins plan indefinitely. If you don’t like meats and fatty foods, however (or you’re a starch lover), following the guidelines on the Atkins Diet Sheet may not be right for you.